Antique Locket - follow up with Photos! The following description of this locket has already been posted and accepted and indeed commented on by Yvonne Hammouda-Eyre but the accompaning photos did not get through. 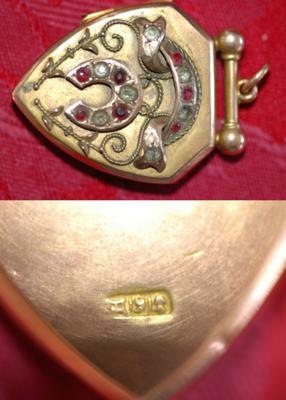 I think they are important as they show the locket front and the hall marks on the back.